You don’t have to wait until the weekend to eat incredible dim sum. Here, eight delicious recipes for easy DIY dumplings, buns, spareribs and more—no carts required. 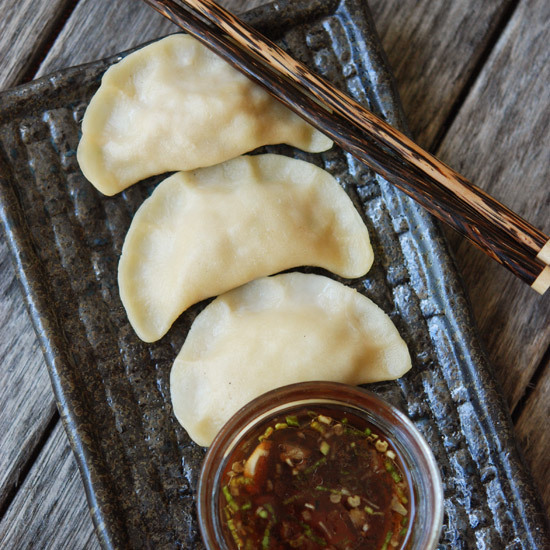 These juicy dumplings are so flavorful on their own, they’re best served simply with just a little Chinese mustard and soy sauce, for dipping. Supremely crispy and elegant, these spring rolls are filled with a mix of marinated shrimp, ground pork and a handful of colorful julienned vegetables, like carrot, jicama and beans. These puffy, savory buns are filled with a mix of bok choy, spicy mustard greens and oniony Chinese chives. Crispy, sweet and spicy, these pork spareribs are a hundred times better than takeout char siu ribs. There’s something magical about the addition of minced boiled cabbage to these dumplings—it’s what makes them light and highly addictive. Five-spice powder (typically a ground mix of cinnamon, star anise, black peppercorns, fennel and clove) gives this classic Chinese squid dish a fun twist. These super-quick, juicy little Asian-inspired meatballs are great wrapped in lettuce cups or served with steamed rice. Chinese sausage simmered with rice, mushroom and soy sauce makes a hearty and satisfying porridge. Chefs' Favorite Chinese Restaurants in the U.S.